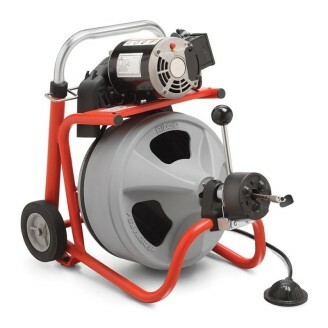 A powerful, easy to transport, versatile machine for cleaning indoor drains. Requires minimal setup to clean sink lines, floor drains and roof vents. 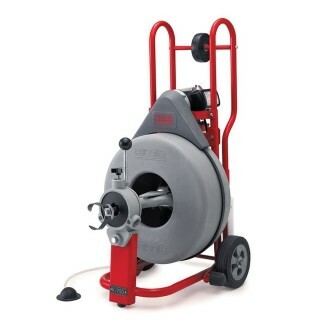 RIDGID Machine w/3⁄4" (20 mm) Pigtail and Standard Accessories. 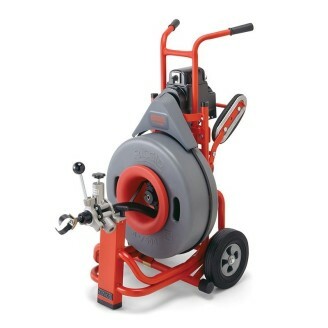 RIDGID Machine w/5⁄8" (16 mm) Pigtail and Standard Accessories. 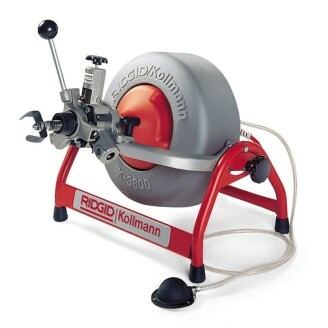 RIDGID Machine, Standard Accessories, and 5⁄8" (16 mm) x 100' (30,5 m) Inner Core Cable. KWIK-SPIN+ Hand Spinner with AUTOFEED® PULL THE TRIGGER AND TURN THE DRUM FOR A CLEAN DRAIN WITHOUT THE MESS. 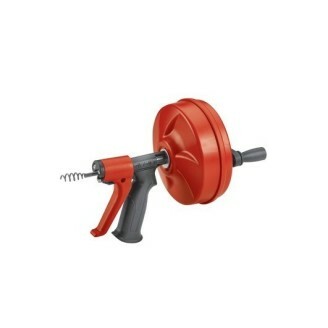 Features Cleans drain lines from up ½" to 1½" in diameter. Kink-resistant MAXCORE® cable is designed for drill powered operation up to 500 RPMs. AUTOFEED® Trigger Technology allows cable to self-feed down the drain. Cables positively retained in the drum to prevent cable pullout. Pull the trigger and turn the drum for clean drain without the mess.